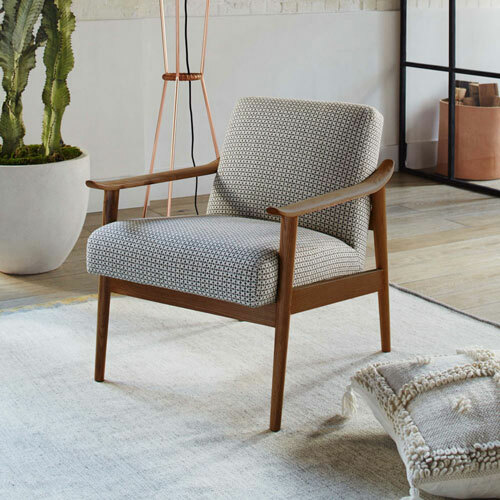 Two finishes, with both variations of the Mid-Century Show Chair at West Elm offering the same level of vintage cool. 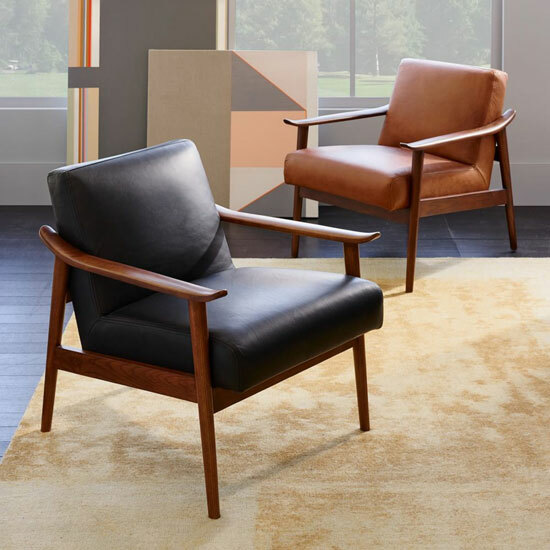 Take your pick from a leather or a cloth upholstered finish, the latter with a suitably old school pattern. 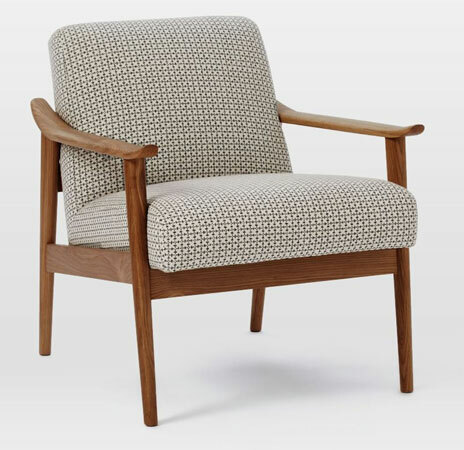 Both have the same frame, with those sculptured arms and a pecan-stained finish. Looks like a comfortable place to kick back too, which always helps when buying a chair! 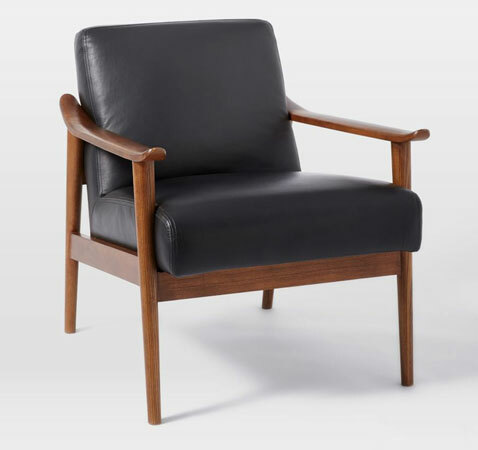 As for price, that’s £699 if you want the cloth or a pricier £999 if you want the top-grain aniline leather upholstery.